The P800 utilizes Epson’s new generation of UltraChrome HD professional-level pigment-based inks. 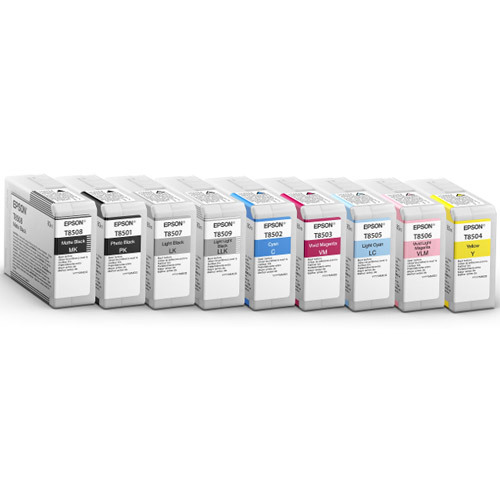 The new ink set features 9 inks – matte black, photo black, light black and light light black, cyan, light cyan, vivid magenta, vivid light magenta, and yellow. The new ink set contributes to the P800’s unprecedented quality, delivering denser colours, smooth gradations, the deepest most extraordinary blacks and a range of printing resolutions up to a lifelike 2880x1440 dpi.